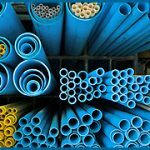 Plasopan Engineers (India) Private Limited is primarily engaged in the manufacturing of Plastic (EVA¸ PP, PE, Rigid PVC, Flexible PVC, & others) Profiles. These Sections are being produced by Extrusion Process. Plasopan’s doors are a must for everyone who likes the idea of keeping up with the time. 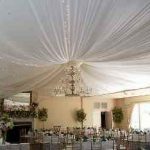 Very elegant yet functional, these are made out of high-tech rust proof frames and rigid, extruded PVC profiles. We are among the pioneers to introduce the concept of PVC Portable Houses in India. These Portable Houses are available in sizes as desired by the end user. Our ecommerce solutions help you attract customers on social networks like Facebook, Twitter and Linkedin. Empower your customers to interact with your ecommerce store using social networking features. PVC furniture enables the best use of space, best value for money and add to the style of living. Your interiors get the touch of elegance with wide range of pvc . 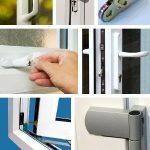 Building Industry Profiles : These are poducts which are being used by direct consumers like Doors, Windows, Partition, Panelling, Ceiling, Portable House, Kitchen Cabinets & various other item. These products are sold through our dealer distributor network which exist on all India basis. 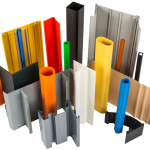 Industrial Profiles : These are profiles made as per order of the customer & are in turn used to fabricate other products. We various industries like Automobile Industry , Air Conditioning & Refrigeration Industry, Advertising Industry , Electrical Industry , Civil Industry, Woolen Industry to name a few of them. These are sold directly to manufatcurer or OEM suppliers. We have a vast list of industrial users who have been sourcing their products from all from India & around the world. Opp. Sector-37, Faridabad - 121 003, Haryana.